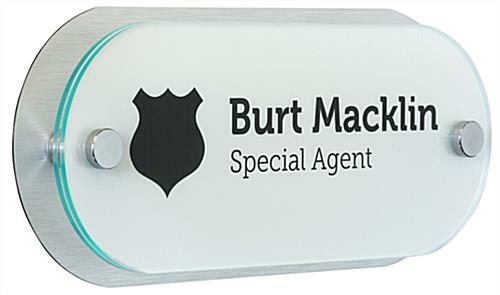 Media Size: 4" x 10"
2" x 8" 3" x 6"
This DIY office name plate sign comes with everything needed to create easy, economy fixtures that looks like expensive custom printed signage. 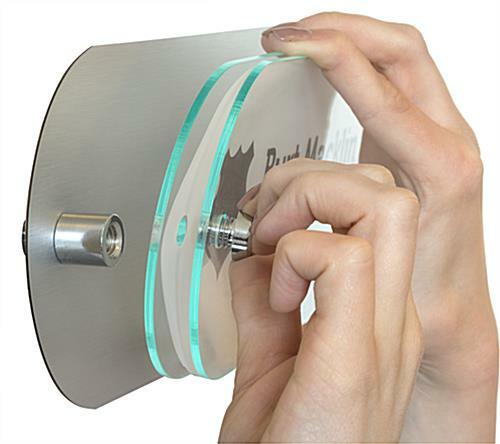 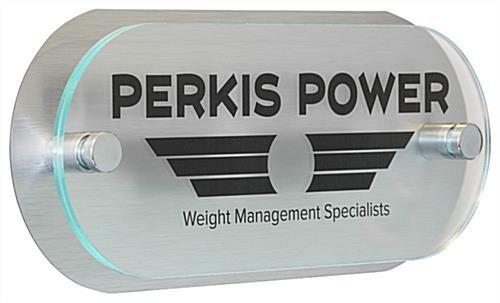 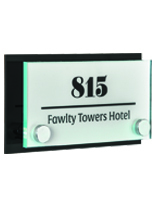 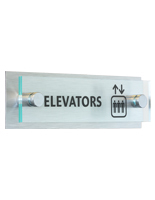 The changeable oval 3D door labels feature a brushed silver aluminum backer, two clear 10" x 4" green-edge acrylic panels, and two chrome-finish through grip standoffs. 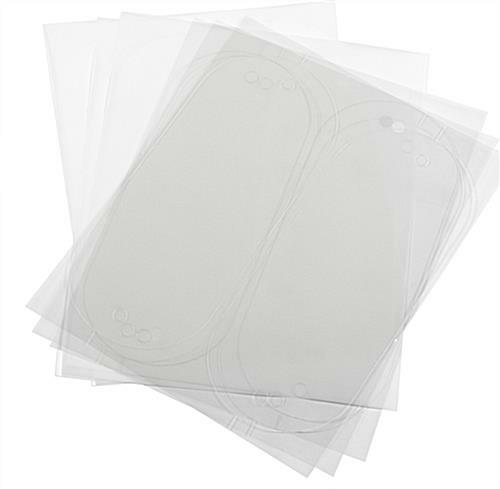 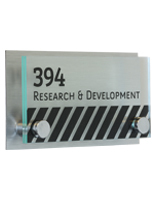 Each easy to install office name plate sign comes with printer film sheets (3 each of clear and frosted finish) that sandwich between the plastic plates. 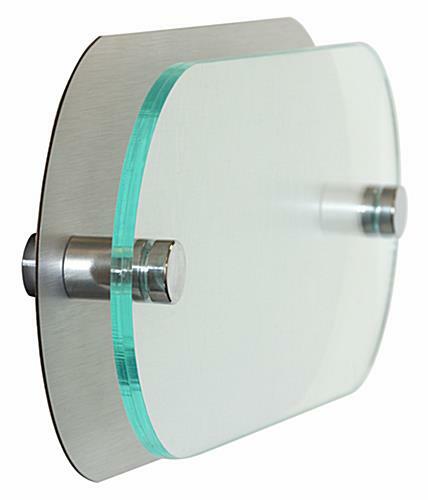 The 10x4 green-edge oval panels mimic the look of expensive custom tempered glass construction at a fraction of the price. 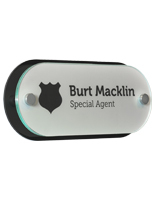 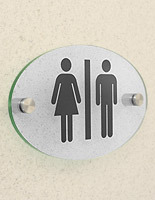 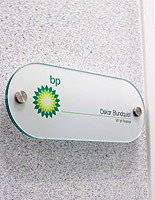 Each wall or door mounting office name plate sign installs easily on almost any vertical surface. 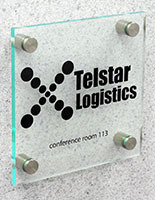 The 3D effect	created by the 1.5" chrome standoffs gives each customized printed signage panel a modern look that will complement any decor. 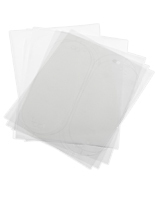 10.5" x 4.5" x 1.5"